We look and feel better when our nails are manicured, and for your pets – the same principle applies. 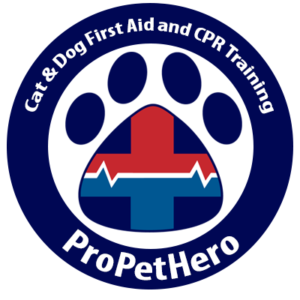 You can hold off on the nail polish though – OK but if you do use it, please use the pet safe kind as they can ingest it. Part of maintaining your pet’s health is maintaining their nails. Long or overgrown nails can cause a myriad of issues such as snags, breaks, bleeding and discomfort walking. In some cases, specifically with dew claws – the little thumb like toes on the inside of your pet’s feet – they can actually curl and grow back into the soft tissue. A good indication that pets’ nails are too long are you can hear them clicking on the floor when they walk on a hard surface – or for me – if I can’t fit a quarter underneath them while they are standing. I know many people will put off or even just forget about doing their pets’ nails. Sometimes this is because the struggle is real! If you are like many pet owners, you may be hesitant to trim your animal’s nails because you are afraid of cutting the quick of the nail, which may cause pain or bleeding. Once you learn how to do it, clipping your companion’s nails is almost as easy as clipping your own – almost. When you are trimming your pet’s nails, you are only cutting away the excess. Recognizing what is excess and where the nerves and blood vessels begin is what you need to know to make nail trimming a painless process for both you and your pet. There are some great YouTube videos on how to accomplish this. This one is quite old but very informative and covers everything you really need to know. It’s best to cut away a small amount on a regular basis than try to remove large portions over long periods of time. This is better for the stress of your pet, keeps things more even if you cannot complete all nails at once and helps keep the blood supply or quick of the nail shorter. The longer you wait between nail trims, the longer the quick will get within the nail – which increases the likelihood of bleeding. Take breaks if you or your pet get stressed out. Remember the dew claws! They can grow into the soft tissue like a painful ingrown toe nail if not trimmed as often as the other toes but they can be hidden by fur. Build up to cutting their nails and make it fun. 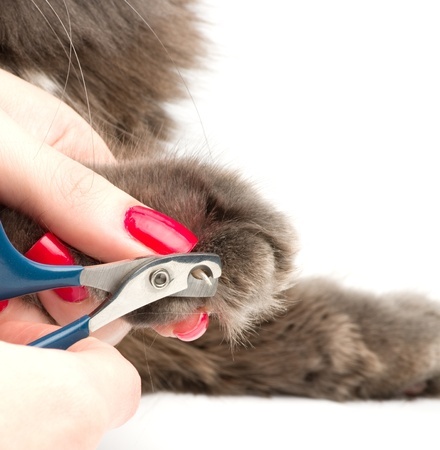 If your cat or dog is not used to having his nails trimmed, start slowly and gradually. Start by holding their foot raised for extended periods of time. Give them treats while you do so. Bring out the clippers and give them a cookie when they look at them. It can take daily handling for a week or more to get some animals used to this. When your pet tolerates having his feet held, clip just one nail, and if he is good, praise him and give him a treat. Build up to doing other nails and each time keep adding on. Slowly, you will be able to cut several nails in one sitting, and finally all the nails in one session. Healthy pets have healthy feet, long nails not only cause issues especially when they break, but limps and back issue can arise if the nails are left too long. Long nails mean the feet aren’t making correct contact with the ground and can throw everything out of whack. So give it a try, a little at a time will eventually get your pet all that they need to have healthy, happy feet.